We strive to design, install, and maintain landscapes that fit into the natural beauty of the Sonoran Desert. 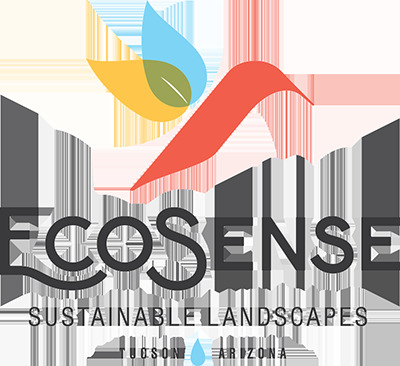 Ecosystem restoration and eco-friendly landscaping in Tucson, AZ. Ecosystem restoration incorporates multiple strategies to renew or restore damaged ecosytems and habitat. We utilize innovative techniques and strategies, along with recent insights from dryland ecohydrology research, to restore these degraded sites. These techniques include various stone and earthwork interventions and “pioneer” plant communities that combine to induce meandering and stabilize channels; slow, spread, and infiltrate water; restore riparian environments; increase soil moisture; and suppress invasive plant types. A truly successful restoration should also welcome wildlife by providing sources of food and water, creating plant cover and structure, and offering sheltered spaces. Birds, bees, butterflies, bats, and lizards, along with all other native wildlife species, play a crucial role in the beauty and diversity of the Sonoran Desert. It is imperative that we respect and value this role when considering any landscape design or restoration. We can even help you create a Certified Wildlife Habitat through the National Wildlife Federation! Contact us to find out how.